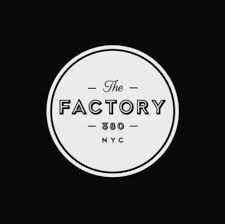 The Factory 380 is a new bar/eatery/lounge in the heart of the Murray Hill and Gramercy area. Inspired by Andy Warhol’s legendary studio and his raucous Studio 54 days, The Factory 380 brings to life the unique style, sophistication and energy of 1970’s NYC nightlife. The space evokes the spirit and vibe of Warhol’s Pop Art era with a curated collection of photos from the iconic Studio 54 in refurbished thrift store frames, original refurnished wood paneling from the 1970’s, an obscure Warhol quote graffitied on the wall in hot pink and a hidden speakeasy lounge named after, who else but Edie Sedgwick. In addition to various other Warhol-inspired design elements, such as a self-portrait collage of Andy lining the hallways and a big silver disco ball in Edie’s, the space boasts a serious cocktail program and an eclectic street food menu inspired by the five boroughs of NYC. The Factory 380 is located at 380 Third Avenue between 27th and 28th Streets jut a quick walk from the 6 train stop at 28th street.